Over the past year our studio has been working with our friends at Lemonade on a special design collaboration. 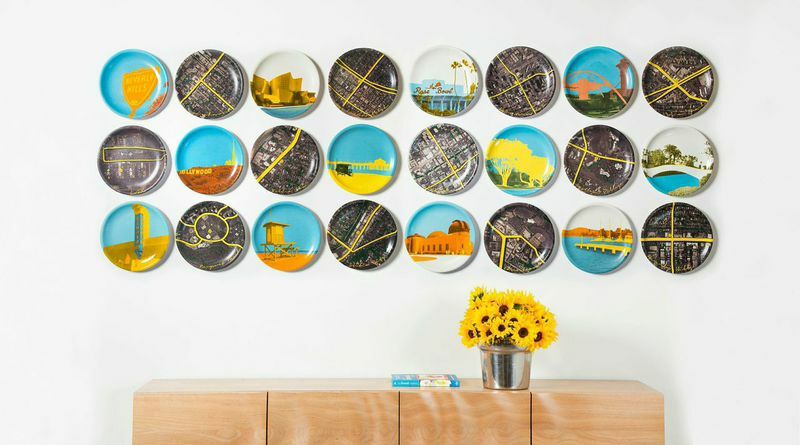 We are excited to introduce, The Neighborhood Plate Collection, a series of 24-collectable plates featuring 12 iconic neighborhoods in and around Los Angeles, California. While Los Angeles has long been regarded as a car-centric city by outsiders, locals know it as a multi-faceted city made up of diverse neighborhoods that bring together people from over 140 countries speaking more than 200 different languages. Stitching these unique neighborhoods together are cultural icons that could only exist in the melting pot of LA from the surfboards bobbing along the shores of Venice Beach to the presence of LA’s rich history in cinema epitomized in the Hollywood Sign to the innovative architecture that has defined LA’s urban landscape for more than 70 years. Our collaboration with Lemonade brings these neighborhoods to life and celebrates Los Angeles’ diverse urban and cultural landscape that spans from the coast to the desert. These limited edition plates will be available in their respective neighborhood Lemonade, as well as on the Lemonade website.